"Mary was everything we were looking for in a real estate agent. She put so much extra effort into finding the right home for us. Always responding to us quickly with a warm and positive attitude. A real pleasure to work with." "Mary is very professional and a pleasure with which to work. She went the extra mile helping us donate our furniture, and made the closing work smoothly with our attorney. A big thank-you to Mary!!!" "Very knowledgeable, I felt she represented me very well, easy to talk to, makes you feel comfortable in your search. Great job over all. Found places I never would of known about that were by far my favorite places to see and consider. As a first time home buyer, i felt she made the process extremely easy and simple. Responded to emails and texts the day they are sent." "Mary Mac helped my fiancé and I find our first home! We knew we wanted to stay up north, so Mary found us an array of condos in the Lakeview, Lincoln Park, and Roscoe Village area. Shane and I ended up purchasing condo in Roscoe Village that Mary found, and it had all the items on our checklist and more! Shane and I have never explored the Roscoe Village area before, but Mary showed us around the area causing for us to fall in love with the "village within the city." When it came to negotiating, Mary was a tiger! She got our place for way less than listing price and even managed to get us a few buyer credits that caused for our closing costs to be way lower than Shane and I budgeted for. It was a win win!!! I would highly recommend Mary to any of my friends and family. I will most definitely use her in the future if Shane and I end up needing more space one day. Go with Mary, and you won't regret it. :)"
"Mary was very patient with us. She is always happy to put extra effort into making sure you see everything you would like to see. Mary is extremely knowledgeable about what makes a property good or bad. She knew our needs better than we did, and helped us to realize what we truly needed and wanted. We will never use anyone except for Mary as our agent in the future." "Mary MacDiarmid is as good as it gets when it comes to real estate agents in Chicago. She has a commanding handle on neighborhood sales and market value. Mary's an attentive, productive and professional from day one to the closing table. She's skillfully alined with her clients needs and wants. Mary will NOT waste your time and effort and most importantly she won't waste your money!" "We worked with Mary to find our townhouse in Lincoln Park and could not have been happier. She went to show us countless homes and really developed a feel for what was important to us. Would be happy to recommend Mary to anybody looking to find a new home in Chicago!" 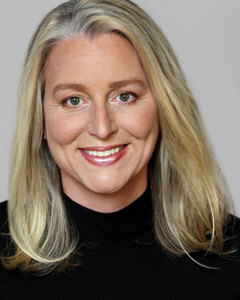 "Mary MacDiarmid has exceptional knowledge of the real estate market in Chicago. As a first time home buyer, I couldn't have asked for a better person to represent me to find that perfect home. There is nobody that works harder than Mary. Whether it's by immediately responding to your needs, always looking out for your best interests, or providing top quality service and expertise, Mary exhibits every characteristic that you would look for in a Realtor. I highly recommend Mary to fulfill your real estate needs and know that she will go above and beyond to help you." "Mary is a fantastic agent. She helped my sister quickly sell her home in Roscoe Village and help my wife and I look for and purchase a condo in Lincoln Park. She is currently helping us sell our existing condo in Lakeview and she is extremely knowledgeable about the Chicago market. My wife and I looked at approximately 30-40 places and Mary was always very helpful in our search. She is not someone looking to make a quick sale, but instead wants to establish a long-term relationship. She has a great eye for spaces and how furniture will fit into a house and she is very honest even if it isn't what we wanted to hear. We love our new home and I would highly recommend Mary to anyone who wants an experienced, knowledgeable, friendly, and approachable agent in Chicago." "Mary is a stellar agent to work with. Her knowledge of the marketplace, neighborhoods, properties, and even the history of a property is masterful. She also has wonderful vision to help guide you on how to best present your home for sale and negotiate with potential buyers to get the most lucrative deal. Mary is attentive and always available to answer questions. I highly recommend her to help you sell or buy a home." "We had a very positive experience working with Mary. She assisted us with the purchase of a condo in Lincoln Park. Mary is very knowledgeable about the many Chicago neighborhoods and buildings. Mary was very accommodating with her time. She stayed within the parameters that we gave her. Her negotiation skills are excellent. After reading the condo board minutes she advised us to ask for money to be put in escrow by seller for future repair work being considered by board. We highly recommend Mary if you need a realtor." "Mary took the time to understand our criteria for purchasing a Gold Coast condo. She was very responsive and worked with our schedule to show us the many options available. Mary is very knowledgeable about the process and negotiation. She is a delight with her energy, honesty, and positivity! We are very happy with our home and would highly recommend Mary!" "Mary is the *best* real estate agent I have worked with. Not only she is extremely knowledgeable about the area that we shopped in, she passed on that knowledge to us by patiently walking us through one house after another. We checked out 60+ properties in a few months, in Gold Coast, Old Town Triangle, Burling and some other areas. She made all the appointments beforehand and drove us around, so the process was very efficient. She did extensive price analysis before pulling together a compelling argument when negotiating with the seller, and I feel she always represented our best interest. I would happily recommend Mary to anybody looking for a house around the Gold Coast or Lincoln Park area." "Mary is professional and personal. A real gem in a sea of stones!" "Mary did an amazing job. She quickly figured out what was most important to me in my search and then focused only on properties that met those requirements. She made the process easy and fun!" "If there we SIX stars to give I would award them to Mary. Mary gives "real" advice and doesn't just buy and sell real estate. This advice makes a significant difference in her clients decisions which I experienced firsthand. Many brokers are most interested in closing the deal and are not truly interested in there clients needs, especially when you are buying a "home" not a house or condo. Mary's indepth knowlegde of Chicago and real estate market expertise resulted in the best outcome for me and my family. I would highly recommend her." "I couldn't be happier with Mary's guidance and support in the sale of our vintage home in Wicker Park! Her expertise was exactly what I hoped for. I highly recommend her!" "Mary us fantastic! She gets an idea of what you are looking for right off the bat and uses that information to find the perfect place for you. I would highly recommend her to anyone!" "Mary was absolutely amazing. She went above and beyond, and really cared about getting me a place I would love." "My wife, Suzanne and I have relocated many times for business (eight times) and another 6 times changing homes as the family grew. I'd say we are experts and have gotten to know many real estate brokers around the country and world. Suzanne and I both agreed, early on, that Mary was the best we have ever had, she was great in every aspect. We love Mary!!" "It was so easy to work with Mary - I highly recommend her and hope to work with her in the future. She sold our property very quickly and got the price we wanted." "Mary MacDiarmid is the best hardest working professional in the business. I recommend her to anyone buying or selling a property." "Mary is the BEST! She helped us through the entire purchasing process and is a wealth of information. I would and have recommended Mary and @properties to everyone I know buying and/or selling property." "I could not possibly have gotten better service, performance, or professional treatment from another agent. Mary was fantastic to me through out the process. @properties is lucky to have her."